Madrid is the capital of Spain and a model city because it combines modern structures, but also preserves her great historical background in many of her neighborhoods. The variety of monuments and events will leave you with a real sweet memory. Get ready to follow Madrid's intense rhythms. Here time is irrelevant because you are at the city that never sleeps. Whether you want to start your day early or even if you are not the morning type the city is always available. 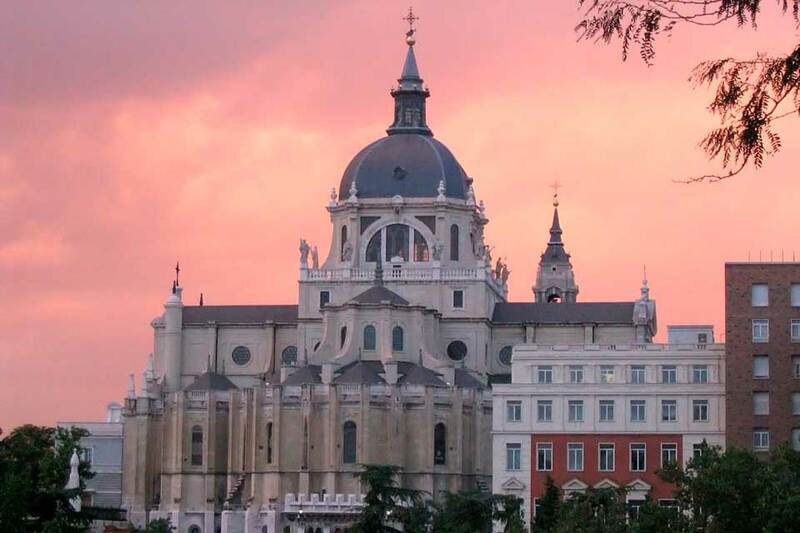 The best way to really enjoy Madrid is to create a balanced trip were vivid moments will alternate with tranquility. Peace in a journey is accomplished when you have resolved the issue of transportation in and out of the city. The lack of orientation in a place you visit for the first time causes great anxiety. Which buss to take where can I find a taxi ? are questions that torture our mind. Van hire erases those thoughts. Book your minivan on line at www.vanrental24.com and don't be afraid of anything. Discovering Madrid's beauty has never been so pleasant with minivan rentals you won't believe how easy and lovely a sightseeing tour can be. While everyone else is trying to find how to reach the next sight you and your friend will have already seen the biggest part of the city. Upon your arrival to Madrid you must see the Royal Palace. The Palacio Real is the largest palace of Western Europe. Its majestic view causes awe to the visitor. This amazing architectural creation is located at the Plaza oriente were the semi circular gardens offer the perfect chance for an escape. Plaza Mayor is the central square of Madrid a walk here certainly is a must. Take a breath and enjoy a tasty and aromatic Spanish wine in a bar nearby. 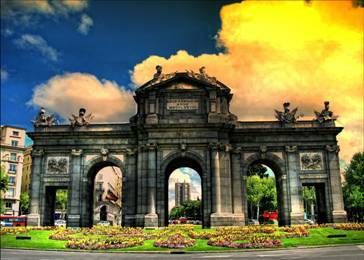 A few meters away you will find Puerta Del Sol the most central point of the city. The square' is a perfect semi-circular design with full attention to detail. You will lose the whole cultural value of Madrid if you don't visit the Prado an art wonder that has been praised by art critics from all over the world. Only the name Prado is equivalent to a great historical heritage. Located in the eponymous street, El Paseo del Prado, its fascanating collection of works by the great European masters such as Velázquez, Goya, Raphael, Rubens, and Bosch (among other major Italian and Flemish artists), will make you shiver. The Grand via along with the Paseo de Castellano are the most famous streets of Madrid favorite choices for film locations as well. Madrid is one of the best scenes for flamenco dance since the 19th century don't miss the change to watch this dancing ritual that is the best choice for a perfect night out. The best Flamengo dance can be seen at Corral de la Moreria restaurant. This amazing city of Spain will win even all of you who are here for a business trip. If you are thinking that you won't have a minute of free time minivan rentals is going to change your point of view. With van hire time that is being spent for you travelling across and out of the city reduces to half. You and your partners now have at your disposal day and night your private and personal way of travelling. Choosing Van rental for your business needs it is not only a smart moove but the only way to save both time and money. Inside your minivan you can work as if you were at your office and also this amazing tool is cheaper than the total cost for different transportation solutions would be. Travelling with minivan rentals is a pleasant break from the chaotic rhythms of the daily professional routine.